Father’s Day is celebrated in many countries. It is celebrated on the third Sunday in June in most of the countries and in some it is celebrated on the other day. It is the day when we people pay our respect, love and affection for our fathers. We try to commemorate the fatherhood, parental bonds and how fathers influence our societies. Father’s Day is a day of celebration which complements the Mother’s Day, a day we pay our honor to our mothers. Whether we arrange for a big party or it is just a small gesture to show our love and respect for our father, this day is the day to remember the role of father in our lives. 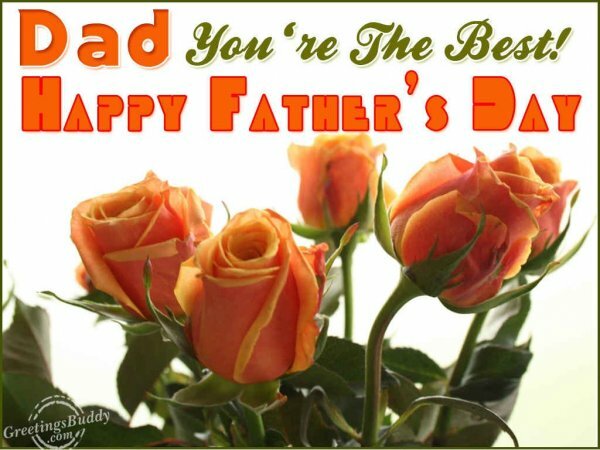 One can plan a very special day for their fathers to commemorate this day. Special dinners could be arranged, gifts can be given to the fathers. To start the day to show a special gesture, one can prepare the breakfast for their fathers. Generally the Americans prepare the breakfast that is consists of bacon, eggs, hash browns, coffee, orange juice, some cereals, fruits, muffins and biscuits. One can take his or her dad for a dinner to a favorite place of the dad. Anything that eh dad loves can be gifted. The modern father’s day celebration has its root in Washington where the Father’s Day Celebrations used to happen. It’s not the gift or the food that is important. The most important is to spend enough time with your father.